It’s a perfect question if you have a cool anecdote to share like Stephanie Meyer who says the idea for Twilight came to her in a dream or Jk Rowling who saw Harry Potter on a train journey, but often there isn’t a big inspiring moment, just brainstorming of ideas, a flicker of a character who becomes the person you centre your story around, or a conversation with someone might spark a thought that leads you to a plot, sometimes it’s a combination of all these things that creates a story idea. Or you might start one story and use some of its elements to create a different one instead. I find it really hard to tell people how I come up with my story ideas. I almost want to reply with “I wish I knew!” because if we could pinpoint the way our brain forms a good story idea, if we could turn our imagination on and off, then we’d never be stuck for ideas, we would know exactly where to find them. I was watching the news last night and one of the items sparked an idea, which I’ve written down for future use. I thought ‘finally, a good story if I’m asked how I came up with the idea!’ I find myself shrugging when people ask me about my story ideas, saying I’m not sure how I did come up with it, I just did. 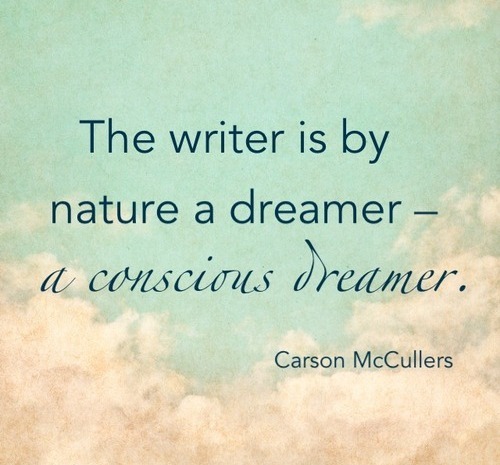 Perhaps if you are a writer your mind does work a bit different to non-writers in that so many things can spark up an idea, we perhaps are more tuned into our imagination and as such find it easier to make up people and worlds. Although “easier” is a loose term because, let’s face it, writing is hard! I love this. It’s the cold, hard truth. It may sound boring, it may be hard to understand if you’re not a writer yourself, but it is completely the case – we are in the business of make-believe. We make up ideas. 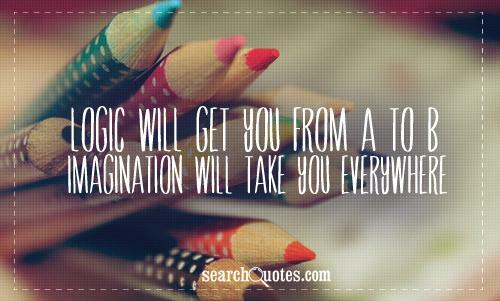 We use our imagination. We tell ourselves stories so that we can tell them to others. And I think part of the reason we can come up with ideas for stories is because we are actively looking for them. We want to write stories so we are always thinking of ideas, we are always on the look-out for something to inspire us. We never switch off our writer brain. It’s a scary brain to have but, hey, we wouldn’t be without it. Where do you think your ideas come from? I wrote a blog the other day of places to possibly get ideas or inspirations from when wanting to write a novel or short story or whatever the writer desires. The common things most people say when someone wants to write, but isn’t sure is: Write what you know. And while I think that might be a good starting point, I don’t believe it’s very sound advice. I find when I get my ideas it comes from things I am passionate about, things that really get my blood pumping and imagination going wild. When I can get an idea whether it comes from a quote or an image or an event I witnessed or was involved in, I hope the idea can take me on an adventure. I really think that a lot of an idea or inspiration does come from simply making it up, but I also believe ideas come from the world around us. It only takes a single word or picture or event to give you an idea of a story, or even if you just think up a character and make up a story for him or her. That’s my take on where ideas come from at least. I agree, I think sometimes it can be something really small that will spark a big idea and that’s what makes it so exciting! Oh definitely! I have even had a spark of inspiration from a unique name and was like what would that character be like and then before I knew it that name created a big story. Ooh I’m intrigued by that for sure, you should definitely explore that one! Very interesting topic. My ideas come spontaneously or suddenly on seeing or observing something or thinking about something and resulting in something else. And some ideas come through experience. That’s what I know. That’s ture, we can only do what works best for us!